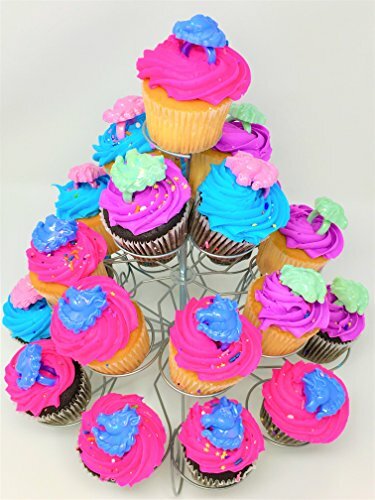 Our Dimensions Learn-A-Craft 'Cupcakes' Counted Cross Stitch Kit for Beginners has everything you need to create a deliciously simple cross stitch project! 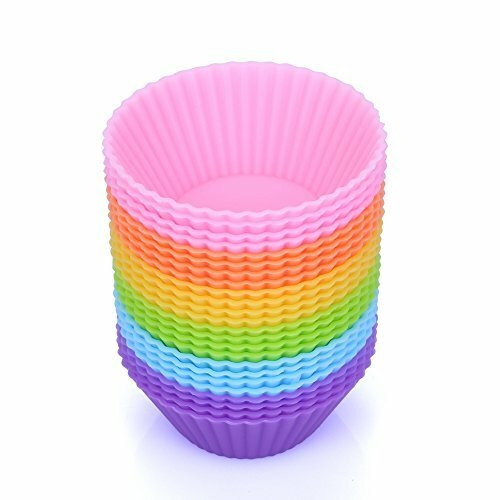 Learn to cross stitch with this colorful cupcake design, then finish your creation on the included plastic embroidery hoop and put it on display! 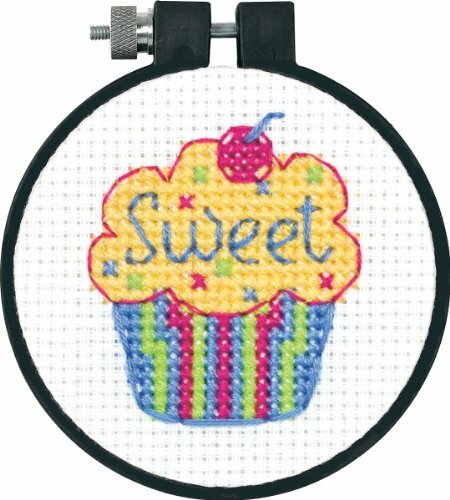 Perfect for anyone with a sweet tooth, this beginner's cross stitch kit includes presorted cross stitch thread, 11 count white Aida, plastic embroidery hoop, needle, and easy to follow instructions. Completed mini cross stitch measures 3'' diameter. 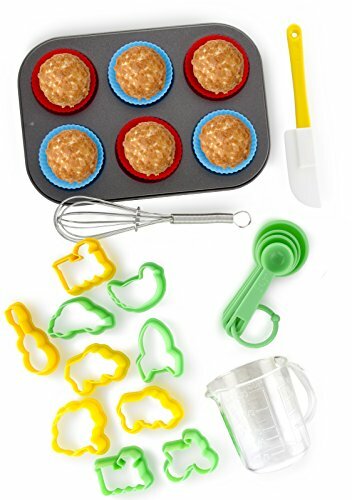 PERFECT FOR PREPARING YOUR BENTO LUNCH BOX- This 18-pack of silicone easy-release, reusable, cupcake, muffin and mini loaf pan cups are so versatile. 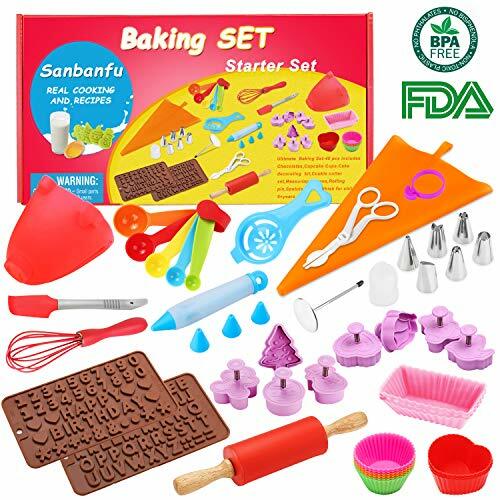 - This is the perfect set for preparing a bento lunch box. - Also great for baking. 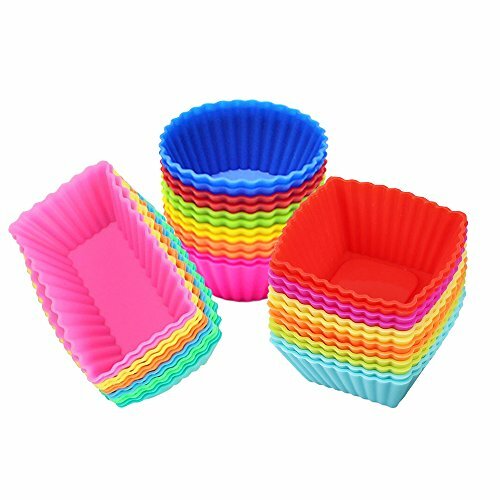 Just place the baking cups directly on a baking sheet and place in the oven. 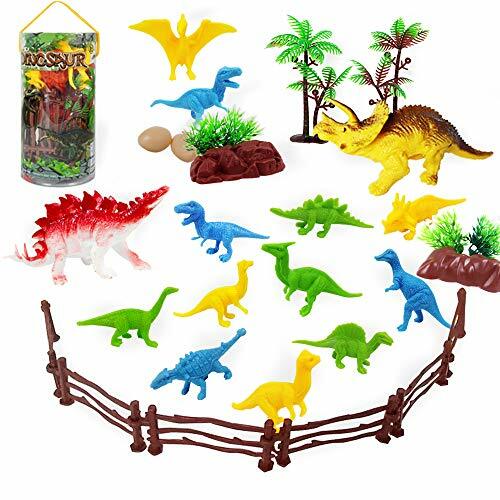 YOU'LL LOVE THE FUN COLORS - KIDS LOVE 'EM TOO! 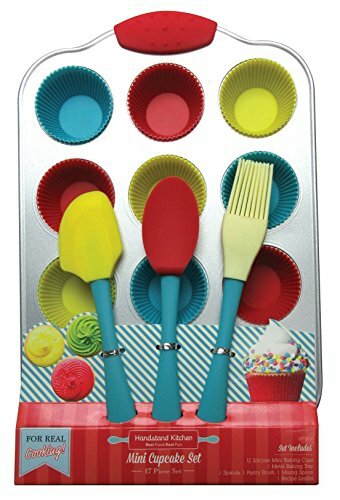 - The Vibrant Collection includes bright colors: pink, orange, yellow, green, blue and purple Show Your Creativity Silicone is not just for baking! 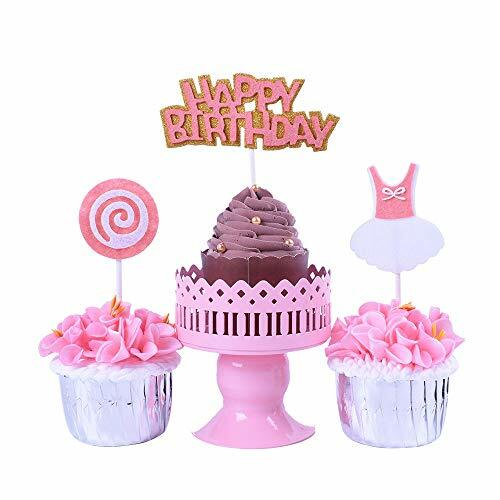 These cups are also used for gelatin molds, chocolate shell-lined desserts, and frozen treats such as mini ice cream cakes, ice cream molds, fruit and snack bowls! Convenient Storage Box- Baking cups stack easily inside for storage, keeping them together and fresh (see 2nd image above) EASY TO CLEAN- Securely place in the top rack of the dishwasher or hand wash to clean. - Stack and store in their box for reuse. Backed by a Lifetime Free Replacement Guarantee. 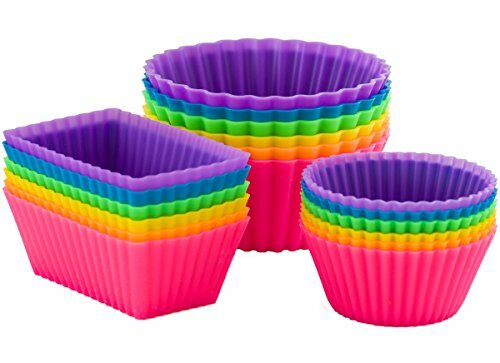 Click the "Add to Cart" button at the top of this page to purchase your Silicone Baking Cups/Bento Bundle now!